Breakfast and WIFI are free at the ibis Styles Bochum Hauptbahnhof hotel and at all ibis Styles hotels. In the heart of the Ruhr valley and the heart of the city: The hotel is located next to the main train station, which is also a U-Bahn and S-Bahn stat ion. The location is perfect for both business travelers and tourists with easy access to all destinations in the city and all cities within the region. For a fee, you can park your car in the hotel car park. Our hotel has 82 rooms designed for comfort. 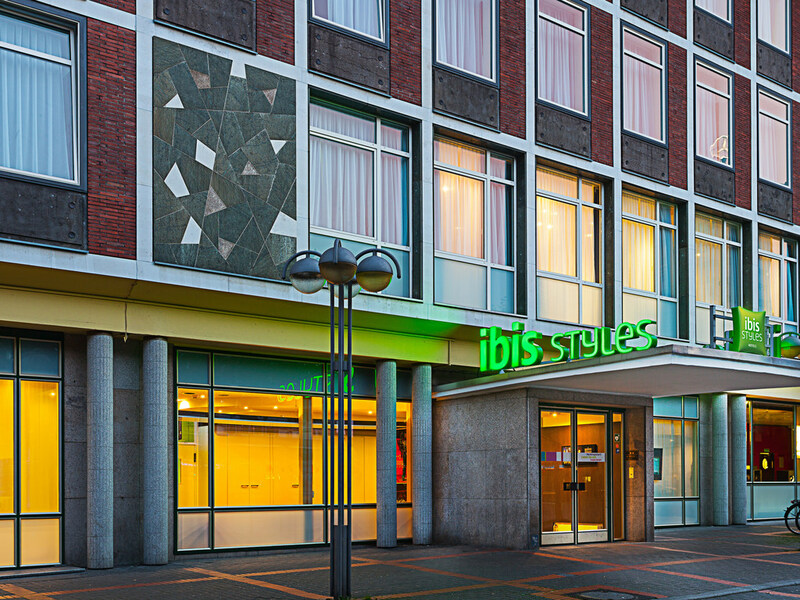 Feel at home in the attractively designed rooms at the ibis Bochum Hauptbahnhof. The incredibly comfortable, new-style beds allow an undisturbed sleep. All the rooms have air conditioning, WIFI, TV and a practical desk. The hotel bar at the ibis Bochum Hauptbahnhof hotel is open around the clock. Enjoy a large selection of refreshing drinks and light snacks, and enjoy taking some time out.